Lemon-cumin carrot salad is simple to make, but like many simple dishes it benefits from taking some care about a couple critical steps. I would have called it “mashed carrot salad” (this is how it was titled in the “World Food Café” cookbook, but I didn’t think that sounded too appetizing.) I’ve simplified it a little bit from the original recipe (uncharacteristically), but I’m picky about a couple of steps in the process that make all the difference in how it turns out. The success of this recipe depends on taking care with three particular steps—steaming the carrots, toasting the cumin, and tasting while adding the lemon and salt. Steam the carrots until tender, but not soft. A fork should pierce them easily, but there should still be some resistance when you try to mash t hem. This ensures the salad will have a little texture on the tongue, and not be a mushy puree. I usually put the carrots into a bowl in the microwave, with a little bit of water, and cover them with cling wrap. Microwave on high for 5 minutes, and test them, then for another five minutes, checking their doneness every minute or so. Be careful of the steam! Once the carrots are done, empty the water from the bowl, and let them cool a bit. 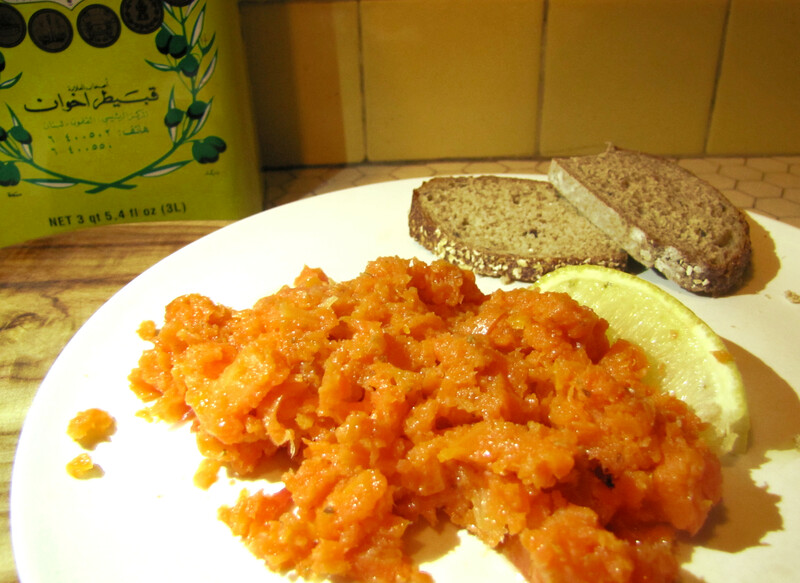 I usually mash the carrots with a fork (inevitably burning my fingers a bit). You can use a food processor—but don’t turn it into a paste. 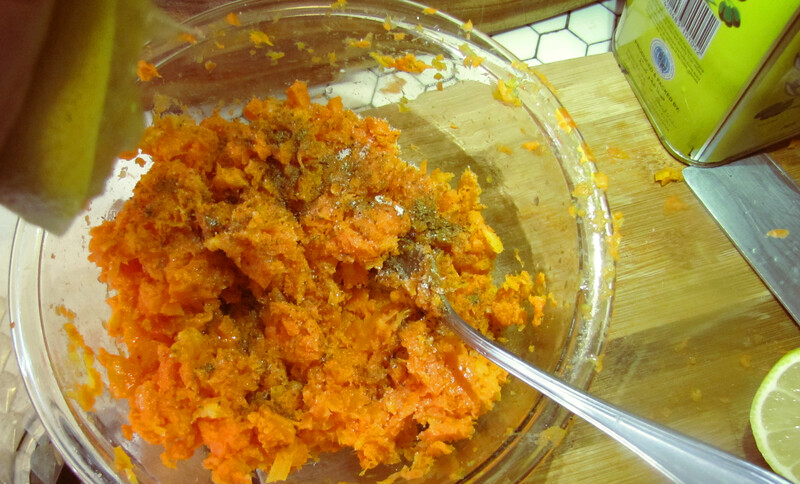 When you’re done, the carrots should have some texture, and even a few small chunky bits. I’ve had success using the flat of a large knife and squishing the crap out of the carrots. This is messy (but fun). I’ve had less success using a potato masher, because the carrots are too hard. Toast the cumin in a hot pan until it’s fragrant, and some of the seeds begin to pop. 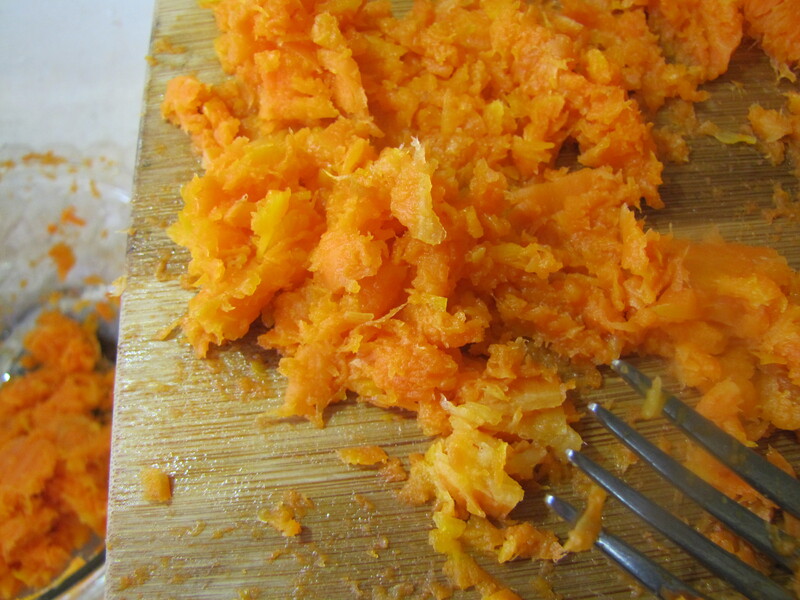 Immediately grind it, and add it to the carrot, along with about a teaspoon of salt. Mix it, and taste it. Add the lemon juice a tablespoon or so at a time, tasting as you go. I find there’s a distinct point where all of a sudden the mix stops tasting like carrot, but doesn’t taste lemony either. It should be sweet, and slightly tangy. Stop there, salt to taste, stir in the olive oil (taste again, the olive oil should give the salad a nice richness), and let it cool to room temperature. Before serving the salad, you’ll need to taste it again, and probably add more lemon juice and olive oil, since the carrots will soak it up as it sits. It will keep at least 3 or 4 days, refrigerated. If you like, you can mix yogurt through it to serve; and/or sprinkle the top with sumach. It pairs well with other salads like muhamarra, yogurt-beet dip, baba-ghanoush, hummus, tabouli, and tzatziki. It works well, too, with grilled chicken, lamb or beef dishes. But it’s versatile, and would even be a great addition to a traditional Thanksgiving.